Picture day is quickly approaching. 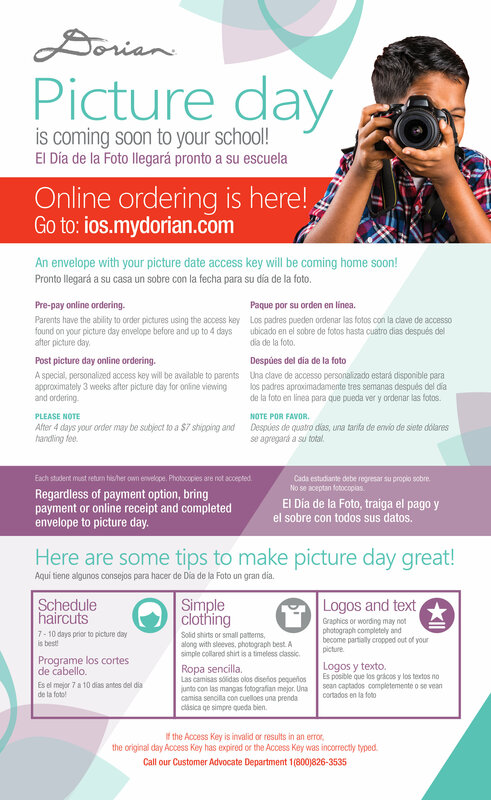 Pre-orders for picture packages may now be placed online at https://ios.mydorian.com using your school's access key provided here M3JY4FXL. Online pre-orders using your school's access key are available up to 4 days after picture day.